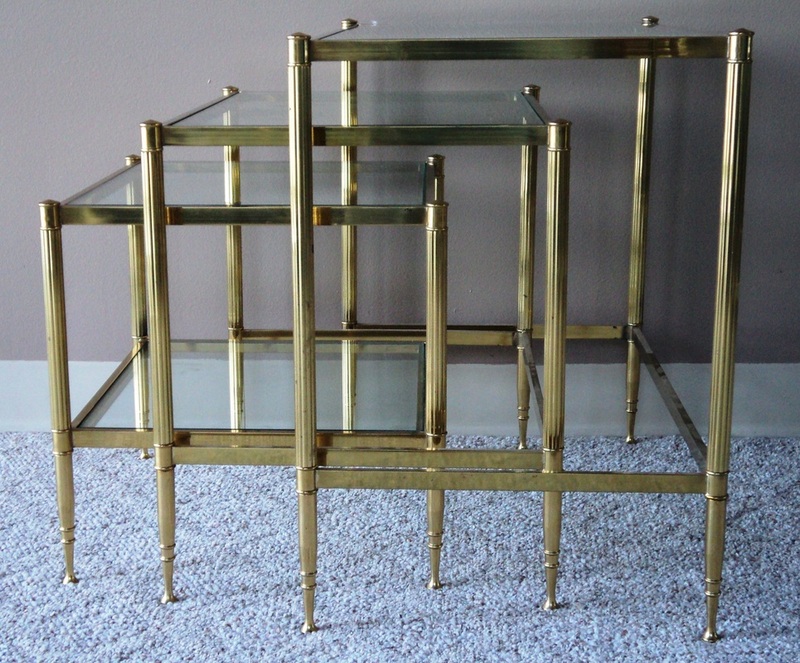 SOLD-Nest of Three Brass Tables with Glass Inset Shelves by Maison Jansen. 1960s/France-Maison Jansen. 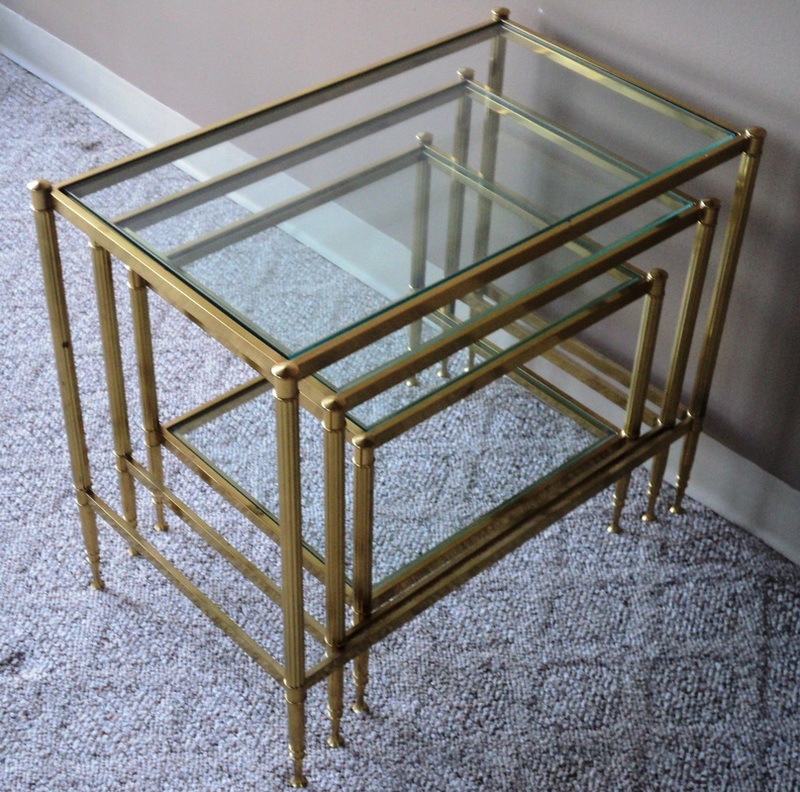 SOLD-All Original/Excellent Vintage Condition (Glass Pane for Smallest Table has SMALL Corner Chip). 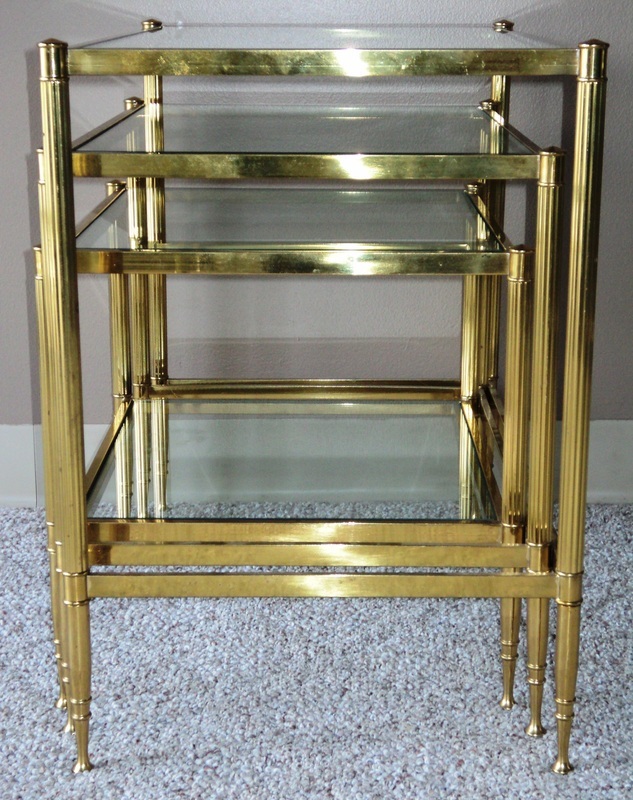 SOLD-Solid Brass Structures. 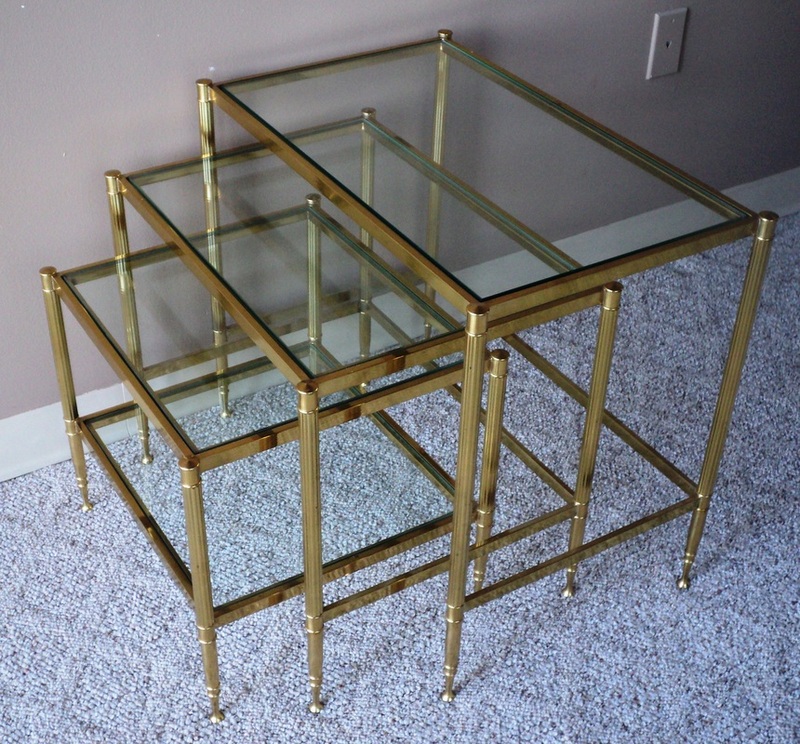 Original Glass Inset Shelves (4 Total-Smallest Table Has Attached Shelf). SOLD-Dimensions: Largest: 25 1/2 x 21 3/4 x 15 1/2. Middle: 21 1/2 x 18 1/2 x 15 1/2. Smallest: 17 5/8 x 15 3/8 x 15 3/8.